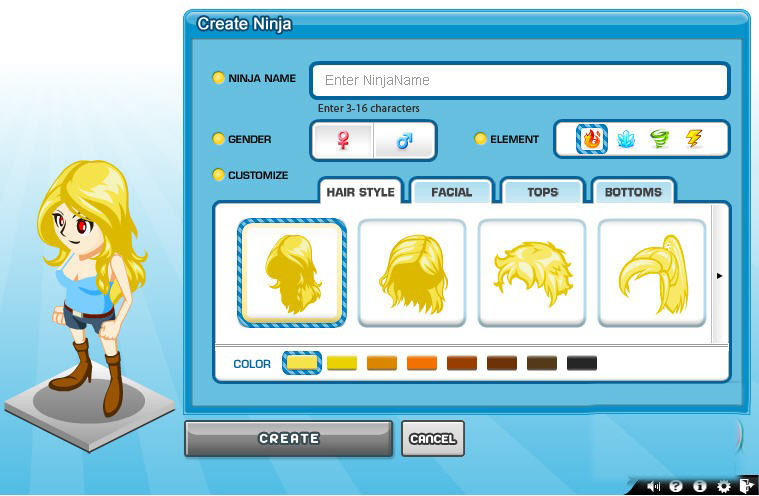 NinjaTrick is a browser based action MMO game, to be launched in February on Facebook Platform. 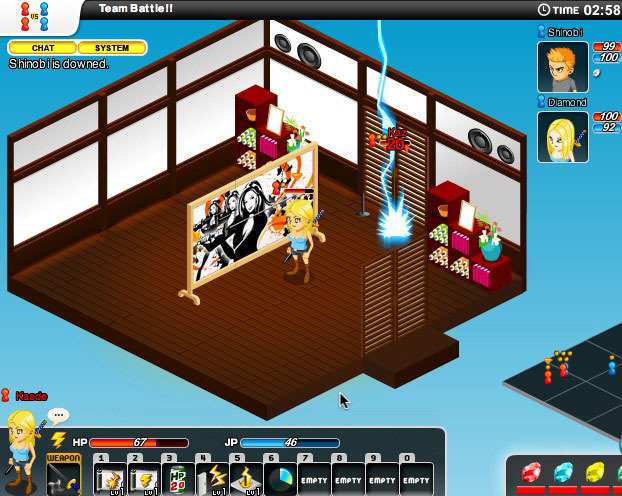 Where players can control their own “Ninja” and challenge each other by select various kinds of Ninjutsu (special techniques and accessories). The simple rules and fast-paced game development enable players to battle strategically against others.